Project Loon closer to reality? In theory, everyone agreed that Project Loon was a terrific idea and that Google seemed to have done something seemingly impossible with a simple solution. However, outside of the initial pilot project in New Zealand, Loon had obvious problems getting off the ground, literally speaking. The biggest hurdle for Google was buying or licensing wireless spectrum to provide connectivity. Generally speaking, this is a long-drawn process with tiring red tape in the middle. Even if Google managed to clinch licensing deals, the bandwidth allocated would be restricted just as it is to any licensee. So Project Loon could be implemented on a small scale, but taking it global would take a massive effort from disparate divisions within Google. So Teller decided to rethink how Google would secure spectrum. Instead of licensing spectrum from carriers, a Loon balloon will now use the already existing spectrum within a region to bring connectivity. 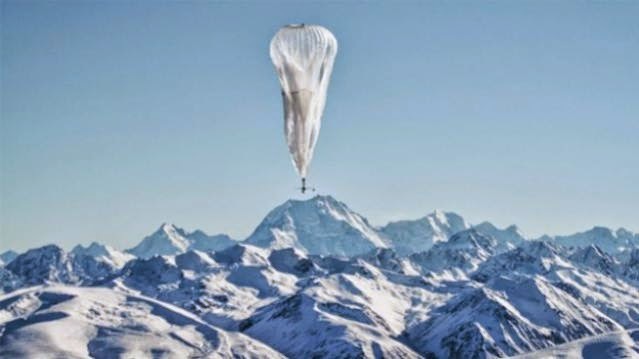 Telecom companies will be able to lease the balloon from Google as it passes over a region and pass on the connectivity. Google claims this is a win-win as the company doesn’t have to spend crucial resources in securing long-term deals. Also, telecom companies won’t feel threatened by Google’s ‘entry’ into the region. Buying spectrum on a licence basis would have restricted the bandwidth available to Google. But telecoms can allot a higher quota from the existing bandwidth for each balloon, delivering close to the 3G-like speeds that Google is aiming for. Telecom companies who have wanted to improve connectivity in cut-off regions can also save on the big infrastructure expenses, by leasing Google’s balloons. If Google has managed to broker deals with carriers around the world, then Project Loon will be up and running faster than we imagined. Loon is not without its critics; the biggest hurdle was always the connectivity problem, and not anything production or hardware related, and Google has found the fix for that.